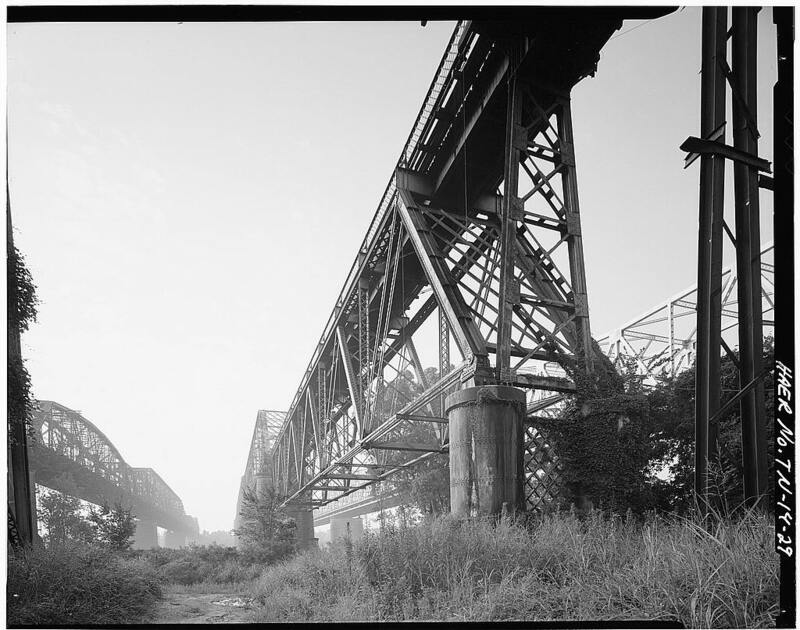 The Frisco Bridge, previously known as the Memphis Bridge was originally known as the Great Bridge. 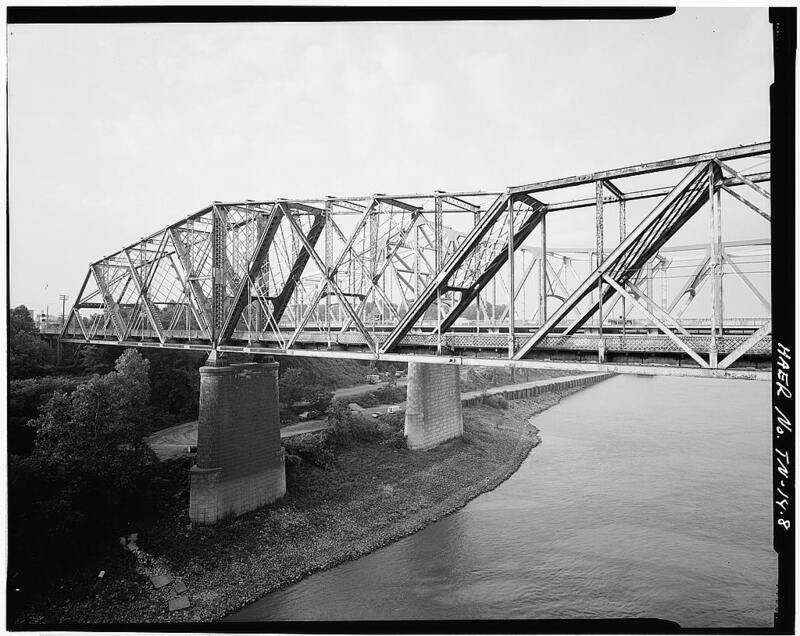 It is a cantilevered through truss bridge carrying a rail line across the Mississippi River between West Memphis, Arkansas and Memphis, Tennessee. 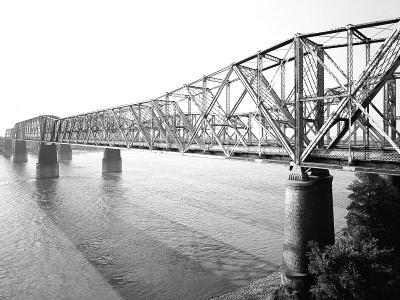 Built in 1892, it was the first bridge built across the Mississippi River south of St. Louis and was at that time the longest bridge in North America. The Frisco Bridge is still used for train traffic many times each day. This little noticed Memphis landmark is now 117 years old. 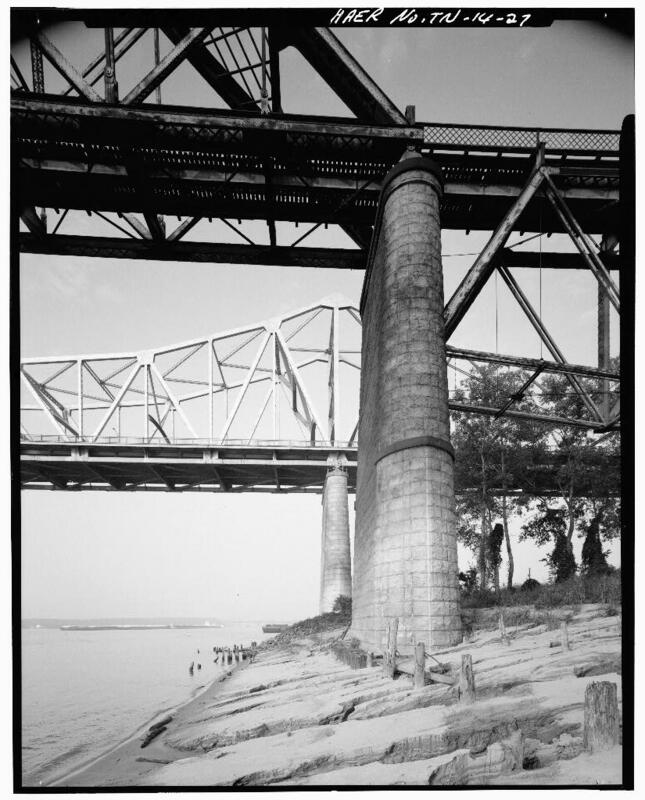 At the time of the Memphis bridge construction, it was a significant technological challenge and is considered to be chief engineer George S. Morison's crowning achievement. Morison also built the Taft Bridge in Washington, D.C. that crosses Rock Creek. 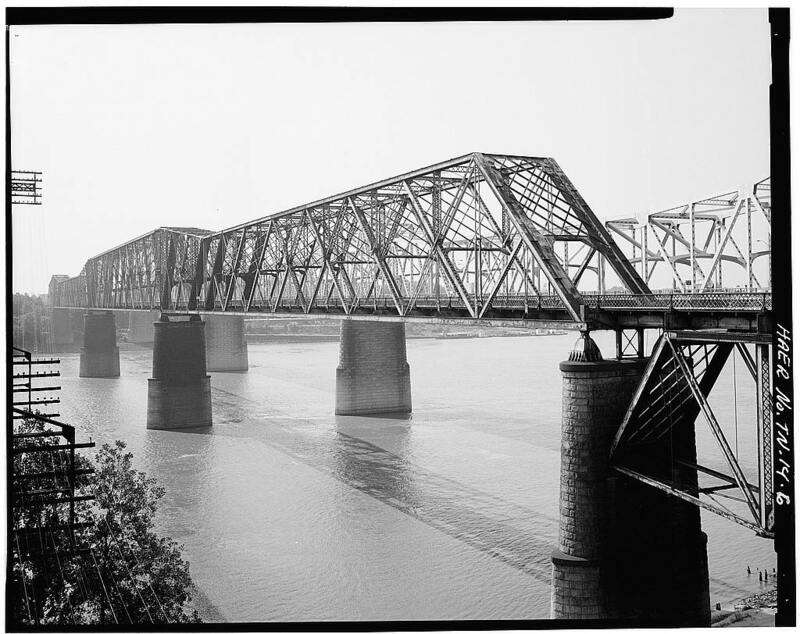 No other bridges had ever been attempted on the Lower Mississippi River. 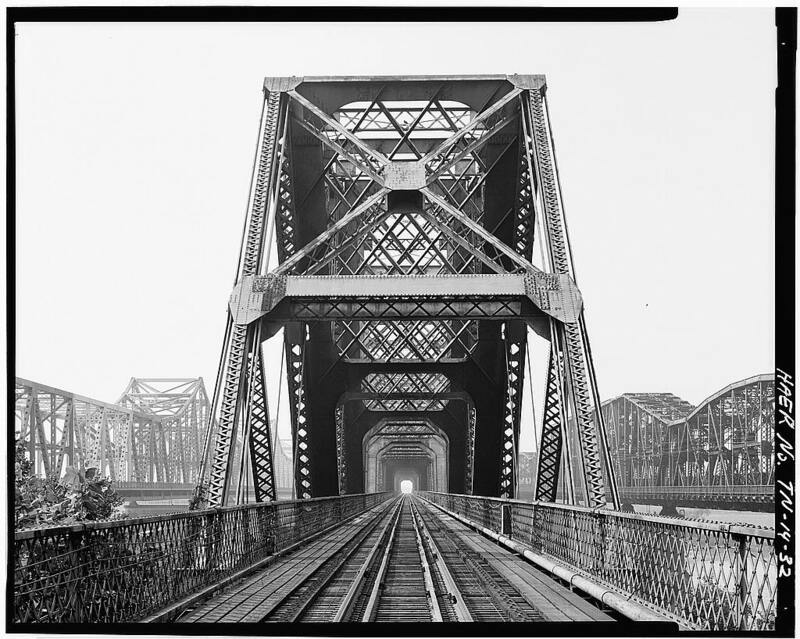 Besides the difficulty of crossing this far south, Morison was required to provide at least 75 feet clearance, have a main span of more than 770 ft for the main river channel. 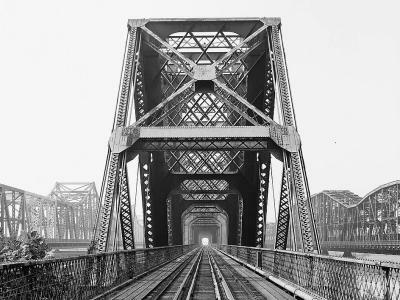 He was also required to provide for vehicular and pedestrian traffic on the same level as the rail traffic. 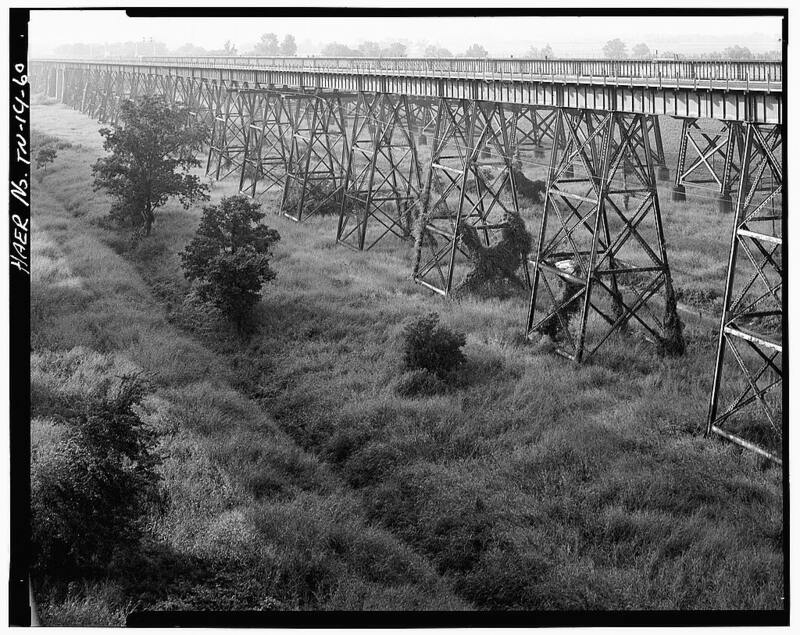 Construction for the Kansas City, Fort Scott and Memphis Railroad began in 1888 and was completed May 12, 1892. 23 men died in the construction of this bridge. In the end the project created a bridge that was the farthest south on the Mississippi River, featured the longest span in the United States and cost nearly 3 million dollars. A testament to its design and construction, as of 2009 the bridge is still used by BNSF Railway. 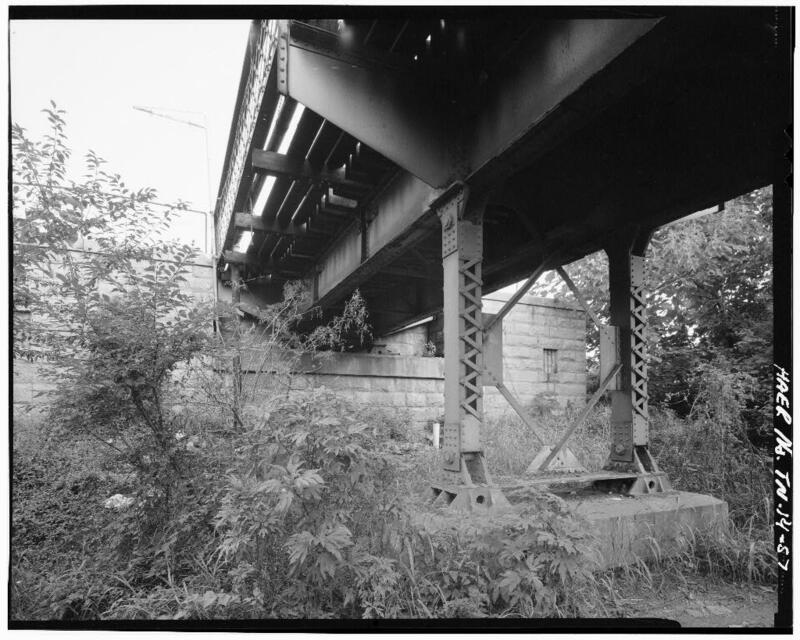 The bridge is listed as a Historic Civil Engineering Landmark. 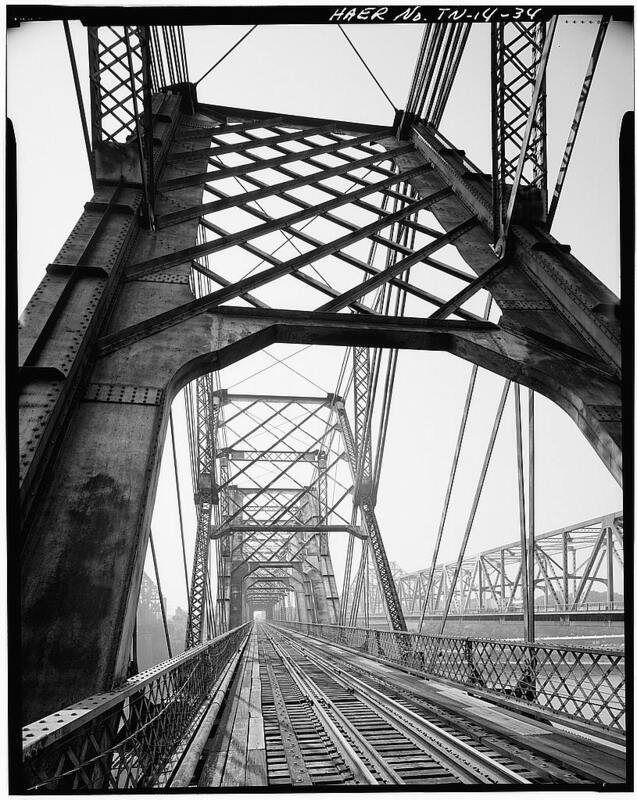 Since 1916, the Frisco Bridge is still going strong. It is still the brige used for train traffic.